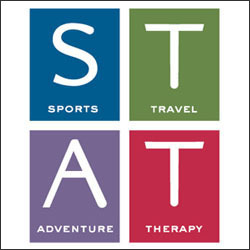 Sports Travel Adventure Therapy (STAT) is a customized guided travel experience created for small groups of women. 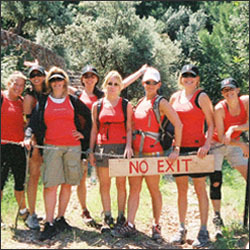 Erin Leider-Pariser founded STAT over ten years ago in order to give women the opportunity to take risks and challenge themselves in a safe and caring environment.Through outdoor journeys of self-discovery, each trip nurtures the body and mind. There are four trips planned per year – one for each season. Whether it’s hiking up mountains, canoeing through marshes or meditating at sunrise, these unique trips enrich the lives of participants.